Hi, well it finally happened, it got cold in Buffalo! We are experiencing deep freeze temperatures, but it is January and we have held out until now, so I don't think we can complain, or we can but it won't do any good!! And, since Rick retired last Friday, we didn't have to go out...., so we didn't. 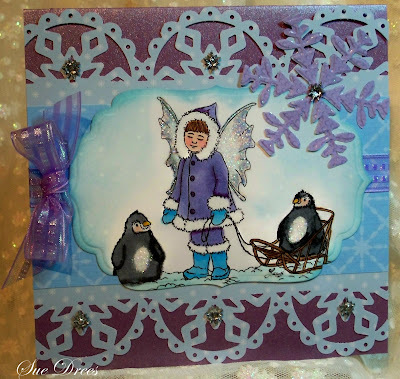 Today's card is for the challenge at Prairie Fairy #69 and the theme for the challenge is Sparkly Wings. certainly piled it on today Sue! Lovely winter scene! 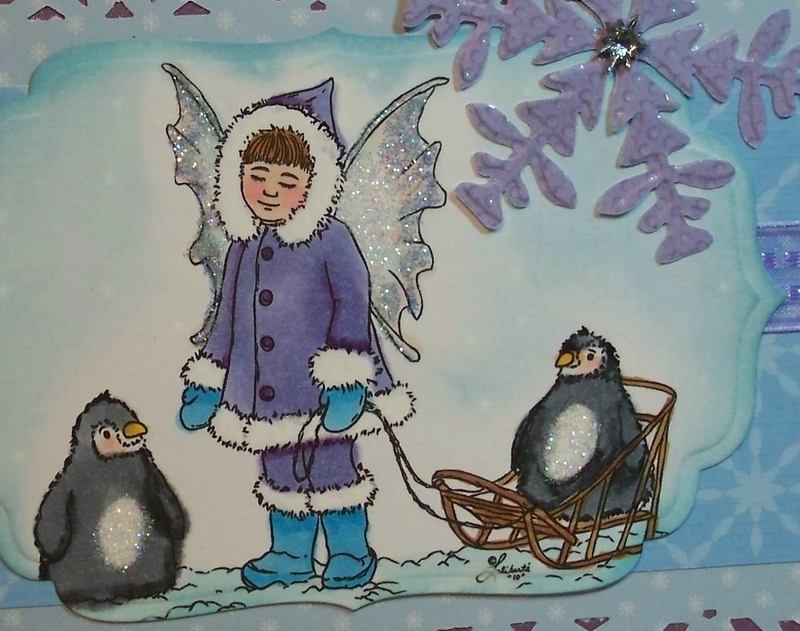 I love fairies and penquins...so whimsical together! Absolutely gorgeous card - the border is amazing. Thank you too for sharing a tip - if possible, please can you go and amend your entry into our challenge to read 'TIP' after your name so that you will be entered into the Top Tipper draw. This is a winter wonderland card! Love the sweet scene and the fancy border. Wow look at the challenges you did - one day I am going to be able to do a million challenges in one card too. 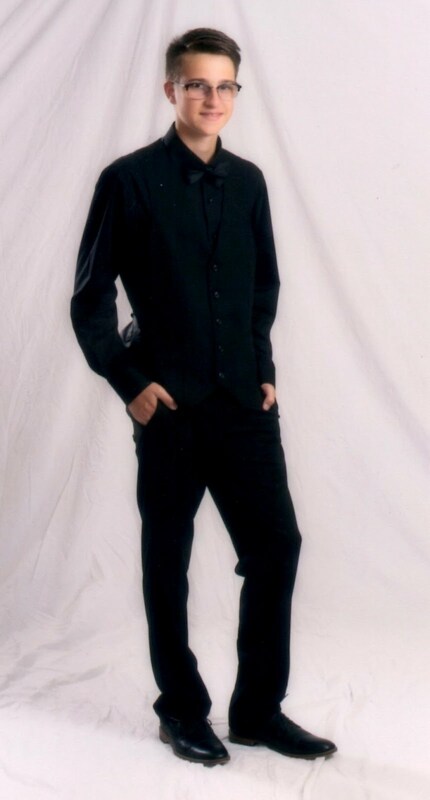 Hope your day is wonderful - hugz. beautiful card sue, adorable image. I love your card, it's so cute and adorable with the penguins and fairy. Fab card, lovely winter scene. Thank you for joining us at Anything Goes. What an adorable image and love the whole look of the card. This wonderful winter card.